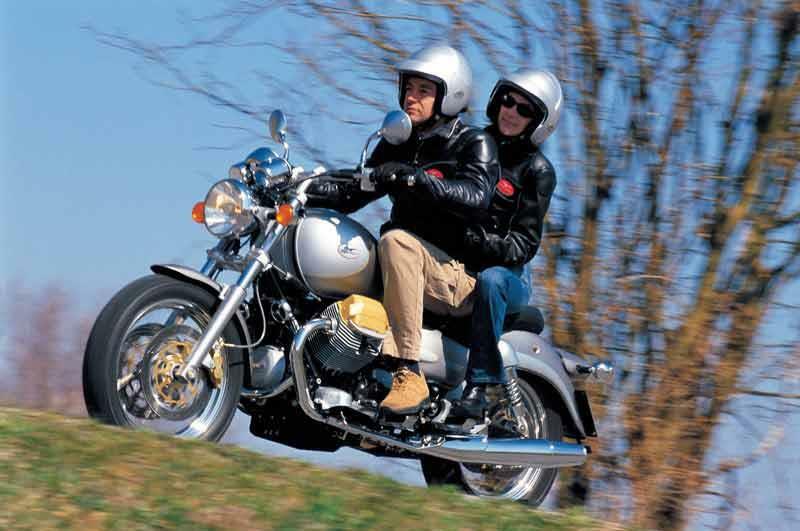 Italian with real history – the Moto Guzzi California 1100EV hasn’t changed hugely since the 850cc version of 1972. But it’s still a machine well worth considering. The California 1100EV is a cruiser / tourer that actually handles. The transverse Moto Guzzi V-twin engine’s has a chunky, chuggy character and while the California 1100EV's not superb at anything it’s a great all rounder. 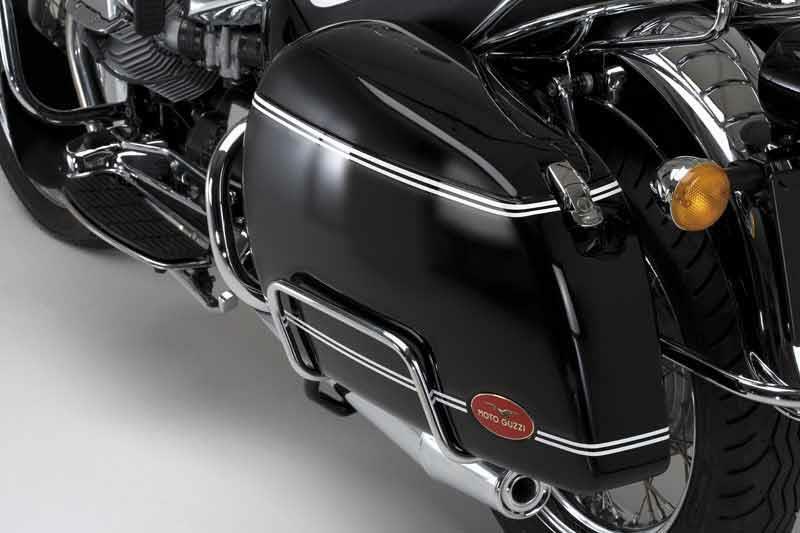 Surviving versions are the retro-style Moto Guzzi Vintage (at £8999), unfaired Moto Guzzi California Classic (£7999) and Moto Guzzi California Touring (£8199). How can an antique outperform updated copes the Japanese computer design in their high-tech factories? The Moto Guzzi California 1100EV handles amazingly well with much less wobble and wallow than most Japanese cruisers of the time. Moto Guzzi have been making bikes since 1921 and manage to make the simple steel cradle and modest twin-shock suspension work extremely well in the California 1100EV. Finish can be poor on some Moto Guzzis. Reliability is generally good but some niggles can occur. Beware if the reset knob on the California 1100EV falls off the trip-meter – you have to buy the whole new clock. Noisy tappets may mean cams and followers need replacing which is a pricy job. 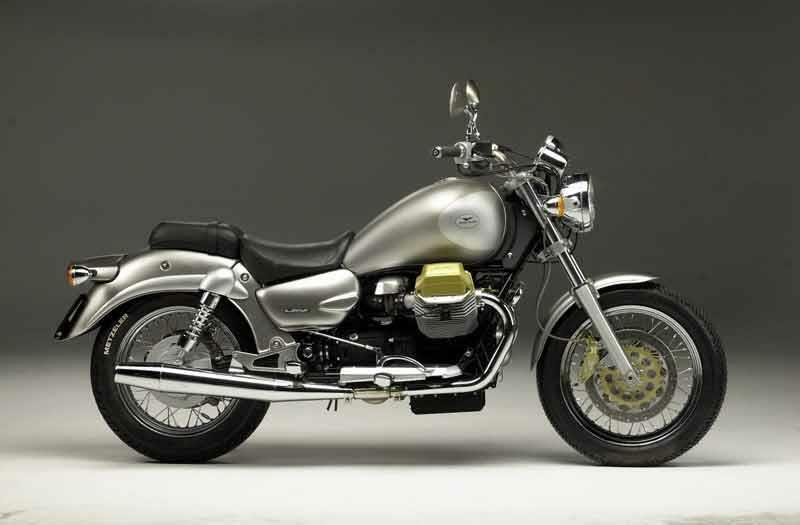 Moto Guzzi California 1100EV exhaust down pipes should be yellowy not blue if the engine is running correctly. The Moto Guzzi California 1100EV is not cheap new but there’s plenty of rivals that are much, much pricier. 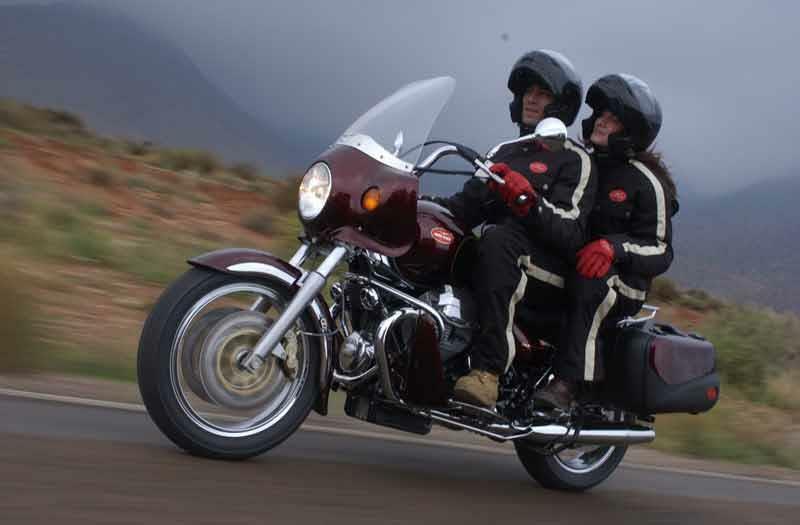 The California 1100EV is well priced on the used market, especially when compared to Harleys which hardly depreciate. 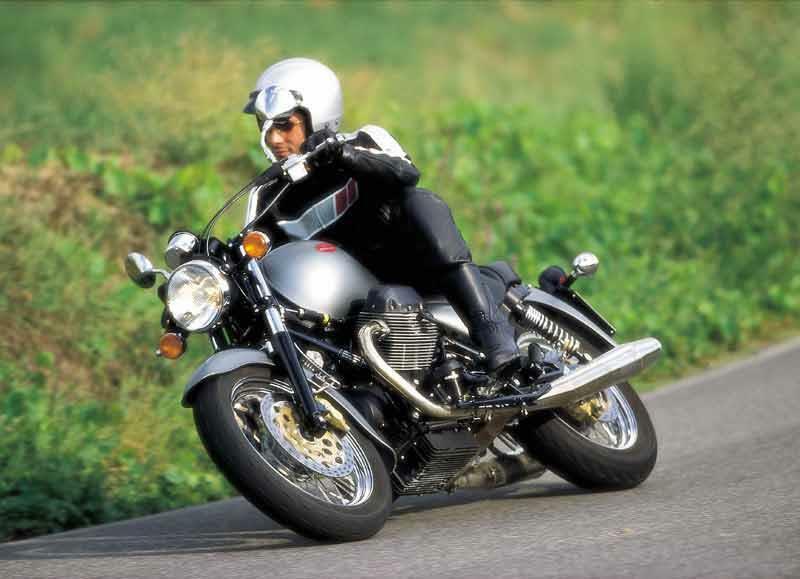 Japanese cruisers can look cheaper but few handle as well and none have the heritage or charisma of the Moto Guzzi California 1100EV. Find a Moto Guzzi California 1100EV for sale. The Moto Guzzi California 1100EV's shaft drive is convenient, linked front and rear brakes are novel but effective. The California 1100EV'sseat is comfy and the riding position suits most. 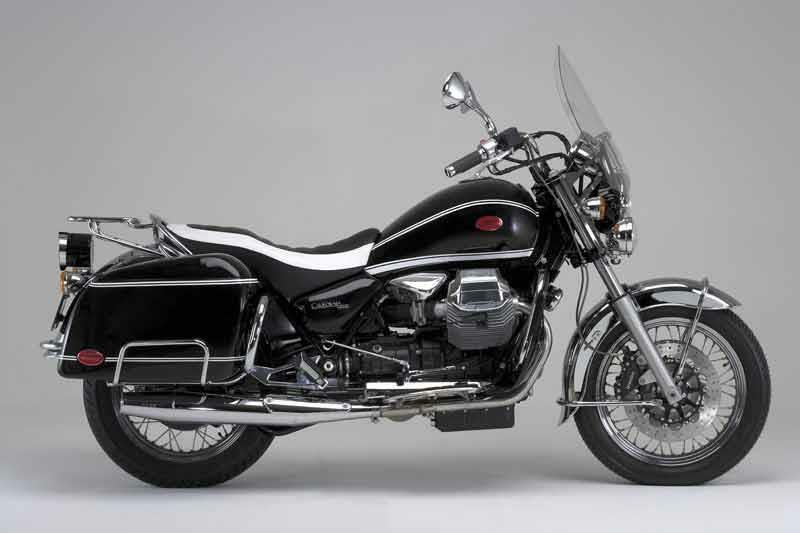 For covering distance you’ll probably want to add a screen and panniers to this Moto Guzzi. Footboards don’t suit everyone and heel/toe gear change takes a little getting used to. 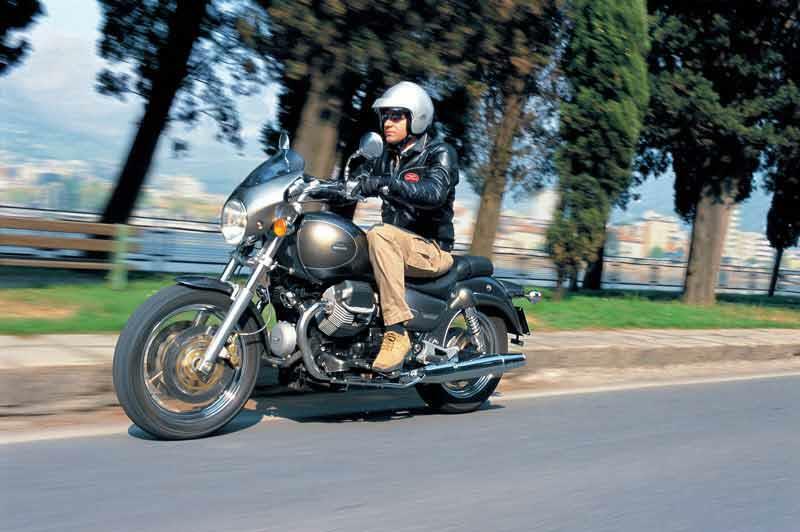 1997: Original Moto Guzzi California 1100EV model launched. 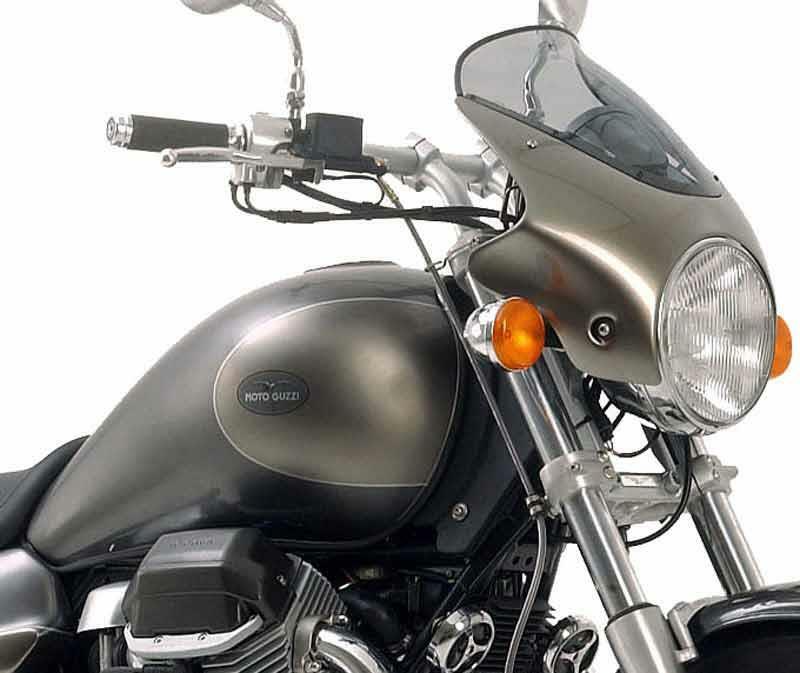 2001: Moto Guzzi California 1100EV updated. Power down 1bhp due to emissions regulations but otherwise improved. 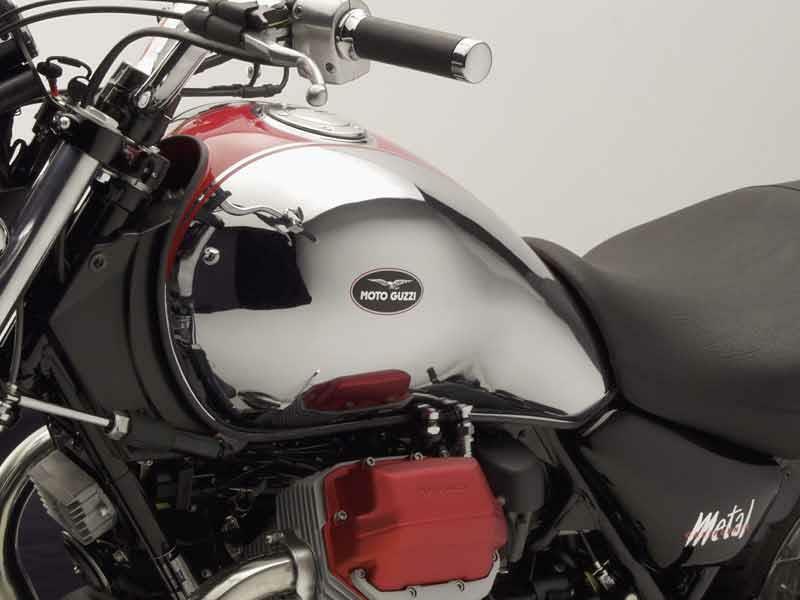 Moto Guzzi California Stone Chrome: 2001-2003, as Stone but with special paint and chrome finish. 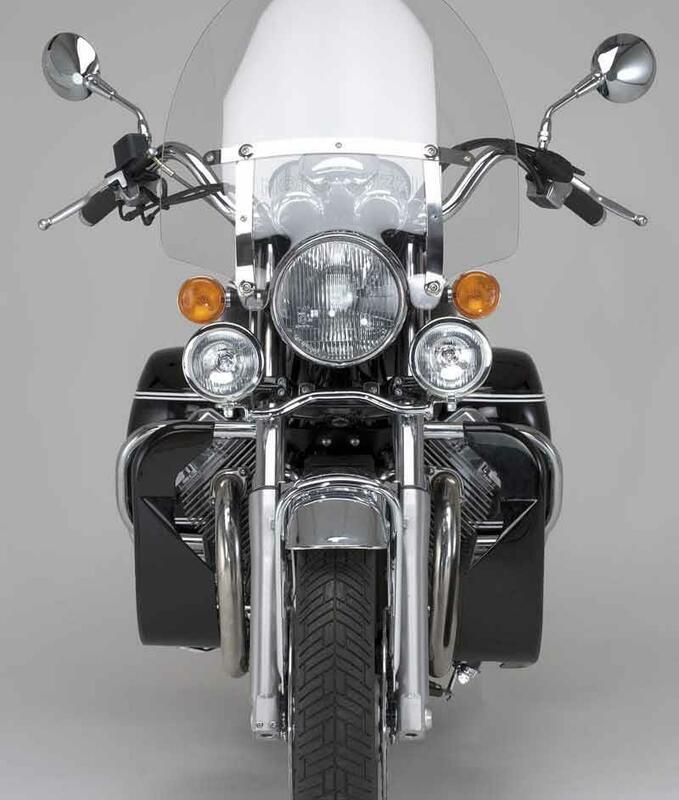 Moto Guzzi California EV Touring: 2002- wire spoke wheels, large screen, leg guards, pillion back rest. 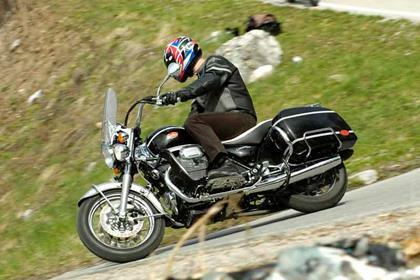 8 owners have reviewed their MOTO-GUZZI CALIFORNIA (1997-2012) and rated it in a number of areas. Read what they have to say and what they like and dislike about the bike below. This is my second time around!! - I wrote the review below about the Cali Stone (smmudd83_1999). Well, since then I put 38k miles on that bike, sold it to emigrate from the UK to New Zealand, bought three other bikes and I find myself on ANOTHER California again. This one is old: 2001 (18 years old at time of writing). It's the EV80 so it has extra bits on it - twin front brakes and funky linked brake wotsit, sissy bar, expensive saddlebags, touring fairing and screen, footboards, leg shields, adjustable forks...Whatever. The bike is basically the same as my 2002 California Stone. The screen is nice and the panniers make it a good touring bike. Linked rear/front brake is really odd but you learn to trust it. I really missed that old Cali and this one makes me grin. 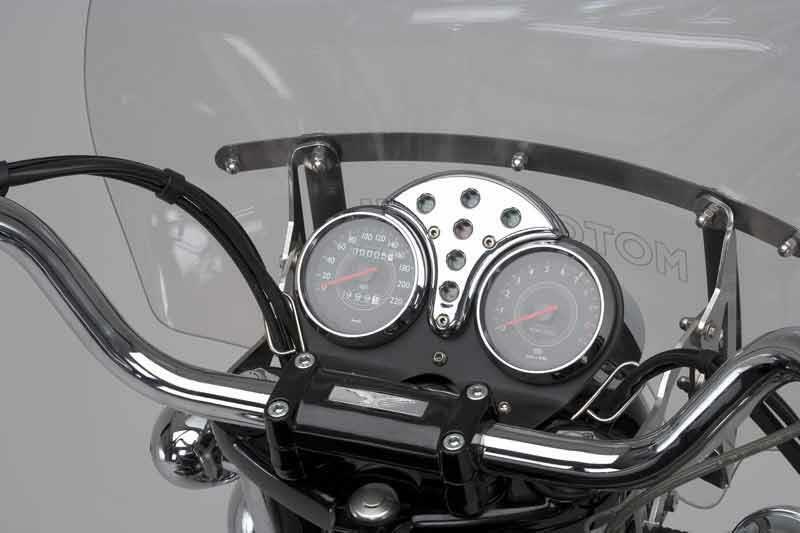 If you don't like it after riding one it's probably because you are 12 and don't know what bikes before ABS, TC, Cruise Control, ESA, Lap Timer, CanBus, quick shifters are all about. Enough of that. Slow down. Enjoy it. Be rattled happy. Nothing to note yet. My last Cali was awesome sauce in this respect too (a starter motor went pffft after 30k miles but all the forums say that's expected). Service myself, mostly. Could be a tad more economical? (50mpg). I just bought it off a classified. Fresh Japanese import into NZ. No known history. Sounds dodgy as, but you know what? Eff it. Ok. Ive only given my Jackal 3 out of 5 rating, but thats not what i think it,s worth, i absolutely love my california! I,d rather have my jackal than a free harley. If i won a harley i,d sell it and buy a Guzzi! I have owned around 100 bikes, mostly Jap UJMs. I bought the jackal after my BMW was murdered by an idiot who ran me off the road. I loved the Beemer. It was a great bike, but just another bike. My criteria for a replacement was, must be Cool, must be Big, must be impressive. Th Guzzi ticked all the boxes. I made a few cosmetic changes, chromed this and that, gave it a paint job and,...... i loved my BMW, but I am In Love with my Californoa Jackal! It aint fast, but has pleenty of torque, rumbles like an old V8 muscle car, turns heads all day, every day and has the muscle and street prescence that makes me feel like Arnold Schwarzenegger on wheels! I love it! The California has converted me 100% into a Guzziholic. I bought another Guzzi 11 months later and my next bike is going to be a Guzzi and evèry one after that. I won,t sell any, just get one of every model and love, polish and ride them till I die! It doesnt handle great because it has cheap crap chinese shock absorbers on, but that isnt Guzzis fault, it,s mine. I will put good shocks on one day, but for now it,s quite exciting wobbling through bumps in corners. It,s what i,m used to having owned 100 half çlapped out jap bikes from the 70s, 80s and 90s. I did have to replace the single front disc, which i suspect was overheated and warped due to worn out pads. I put an extra (optional) caliper, new braided hoses and twin discs on it and the result is amazing. Brembos are great. It stops scary fast! Strong. Bullet proof. Ive heard of Californias that have done 300,000 Miles witjout having rebuilds! Mi e now nas 70,000 kms and is barely broken in. I put K&Ñ pod filters on, which are ok, but without a dyno tune, i wouldnt do it again. It has moved the torque and power up in the rev range. The original air box is more user friendly. There is nothing wrong with my -17 year old bike that you wouldnt expect to go wrong. I replaced the fuel pump, rectifier, fork seals, steering head bearings (that i damaged) engine temp sonsor and tps. Not unexpected in a bike of 17 years of age. I,ve had more problems with jap bikes. To be fair, Guzziss do not deserve the reputationof being unreliable that so many reviewers give them. I think they are just repeating things they have heard. Nothing has gone wrong with my Cali that was unexpected, unreasonable or terribly expensive to fix on a nearly 20 year old machine that was very poorly cared for by previous owners. Mine was left out in the weather for 17 years in a tropical country and as you,d thonk, suffererd rust and corrosion on nuts and bolts and the frame. The paint work was great despite this. I did repaint it, to my regret. I wish i hadnt. It was almost as good as new, but i did it cos i wanted a red bike. Wish i,d left it original. The finish was perfect, the paint job was not. Ive spent more on it than that, but because i can afford Preventative Maintenence, not because it.s a high maintainance machine. I like to change all fluids when i get a new (old) bike, replace hoses and stuff before they fail. If i had a garage, id do my own maintainance and spend very little. Valve adjustments are easy and good to check, but, every time my mechanic has checked, no adjustment has been necessary. The Jackal comes with only 1 disc up front. Adequate, but get another caliper and disc and you will not regret it. There is no tacho, but it isnt necessary. Th dash is very clean and uncluttered with only the speedo and a few idiot lights. Got mine used and abused, cheap and the best buy ever! I love it! An ugly baby only, I would kiss. I have had several bikes in my time. I say that the 1997 1100 California is not for a beginner or someone that does not have a little upper and lower body strength. This is a top heavy bike that takes a little strength in day to day use. A person under 5'7 can not get both legs down at the same time. The bike is like a large dirt bike with the high profile. Better not lay it down. Sorry ladies but it takes a man to upright this buffalo. I like the punch the engine got, It has good passing ability and a nice rumble that make these HD guys turn a head. When, I got the bike, I asked for something with a little weight. I was shown the Cali 1100. It was like an ugly pet you wanted to give away but feel in love with it. I dig these unabrakes. It is fantastic having brakes that grab front and rear at the same time. Like, I said. Put together like a TANK. These bikes seem to only wear out hoses and cables. The engines are put together like tanks. It's got loads of what is usually referred to as 'character', mostly the good sort. The engine shudders and shakes at low revs and the big V-twin pulls the bike over to the left when you rev it. It will say it's in neutral but it's actually still in first gear (so be careful when you let the clutch out at a standstill). The tacho on mine has bust (but you don't really need it anyway). Unfortunately the paint is somewhat thin and some of the chrome is of absolutely appalling quality. Also, Moto Guzzi seem to have gone out of their way to make this weigh almost as much as the Isle of Wight ferry. Aside from this quirky 'character' the Cali's a wonderful bike. The seat is all day comfy, it takes all your luggage with ease, the handling is truly exceptional for a bike of this sort, all the switchgear is laid out perfectly, and it's also surprisingly quick - breezing past 100 even two up with luggage. If you have a good sense of humour and like a bit of 'character' you'll love this bike. This is undoubtedly the most comfortable bike I have ridden. Having travelled 600 miles in one day, with pillion with no aches or pains. Brakes are powerful and the overall feel is one of safe. That said, could do with a few more HP at the rear wheel for ultimate sense of security. Finish is fine at the moment but I have taken the time to wax/polish all the shiny bits but am not sure if I would ride it through the winter. Sounds fantastic and you can pack a surprising amount of kit into the panniers. Lighter than many of its rivals but the wide seat etc means sub 5'8" riders struggle while at standstill (like me). I usually achieve 50mpg while touring fully loaded & 2 up. My only gripe is the gear change and have only just mastered it. What would set it off would be a back rest but cannot find one for love not money. brilliant - built just for me! I have had this bike for just over three years. When I had just under 3000 KMS on the clock (staying within all break in procedures) I headed out with my wife for a ride from the west coast to the east coast of Canada. Two weeks into the ride I was in Barrie Ontario in the fast lane of a four lane highway doing 110 KPH when the engine sputtered and died! Miraculously I was able to navigate the bike to the shoulder without being hit by the surrounding rush hour traffic. I called my mechanic in BC and he knew right away the issue was the feed line had blown off the fuel pump in the tank (known issue)! I pulled the pump and found the line was crimped on and replaced with a proper clamp, one issue resolved. Another issue I had was a catastrophic clutch failure on the return leg about 200 KMS west of Ottawa (in the middle of nowhere)! I had been adjusting the clutch for slipping problems every 4-5000 KMS throughout the trip, something I had never encountered in 40 years of riding. To my amazement once I was towed 500 KMS to the closest dealer in Montreal I found out there was a recall on the clutch! 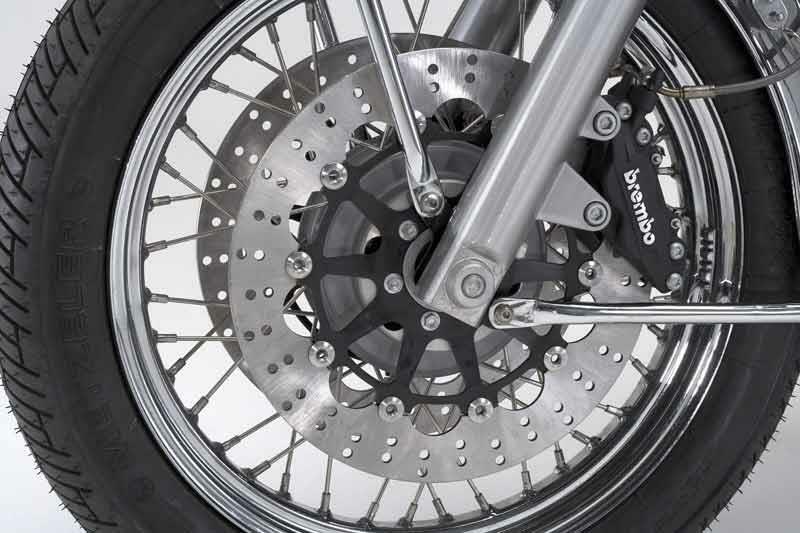 The factory clutch is a single plate that cannot handle the torque of the engine (poor plate material choice?). After a week of me/dealer/factory discussion, they agreed to replace the clutch under warranty. It took another week to get the recall replacement parts from Italy and four days to have the clutch installed. Fortunately I have a fried in Almonte Ontario so I had a place to sleep (and wait). Unfortunately my wife ran out of time and had to fly back to BC to return to work (school break). In the end I had to leave my bike in Almonte Ontario and fly home to wait out the winter (you don't ride the Rockies in the winter). In the spring my wife and I flew back and finished our ride of a lifetime. I have since put another 15,000 KMS on the bike without a hiccup. A fantastic cruiser with Italian style and loads of character. Great value for money, handles and performs well for a cruiser and looks great too.